Product prices and availability are accurate as of 2019-04-20 04:57:07 UTC and are subject to change. Any price and availability information displayed on http://www.amazon.com/ at the time of purchase will apply to the purchase of this product. Author Bookstand is proud to offer Living the Magic Through Kindergarten Classrooms by Bookstand Publishing. Bookstand Publishing offers books by the best indie authors throughout North America and the world. Bookstand Publishing is dedicated to offering original content to a broad audience and promoting great authors, literacy, and freedom of expression. 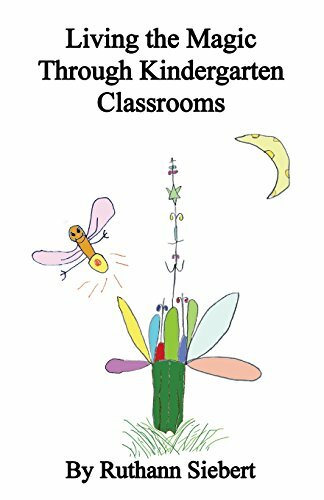 Living the Magic Through Kindergarten Classrooms has generated a lot of interest and excitement and we think it would be an excellent addition to your library. 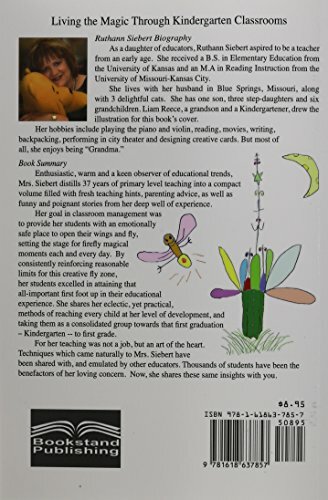 Enthusiastic, warm and a keen observer of educational trends, Mrs. Siebert distills 37 years of primary level teaching into a compact volume filled with fresh teaching hints, parenting advice, as well as funny and poignant stories from her deep well of experience. Her goal in classroom management was to provide her students with an emotionally safe place to open their wings and fly, setting the stage for firefly magical moments each and every day. By consistently reinforcing reasonable limits for this creative fly zone, her students excelled in attaining that all-important first foot up in their educational experience. She shares her eclectic, yet practical, methods of reaching every child at her level of development, and taking them as a consolidated group towards that first graduation - Kindergarten -- to first grade. For her teaching was not a job, but an art of the heart. Techniques which came naturally to Mrs. Siebert have been shared with, and emulated by other educators. Thousands of students have been the benefactors of her loving concern. Now, she shares these same insights with you.